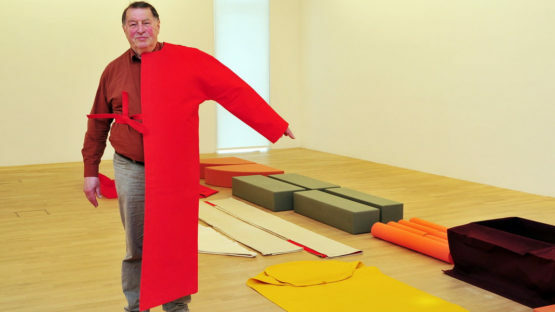 Franz Erhard Walther was born in 1939 in Fulda, Germany. Between 1957 and 1961 he studies at the Werkkunstschule in Offenbach and the Academy of Fine Arts in Frankfurt. In 1962 he transfers to the Kunstakademie Düsseldorf, where he graduates from Karl Otto Goetzs’ class in 1964.